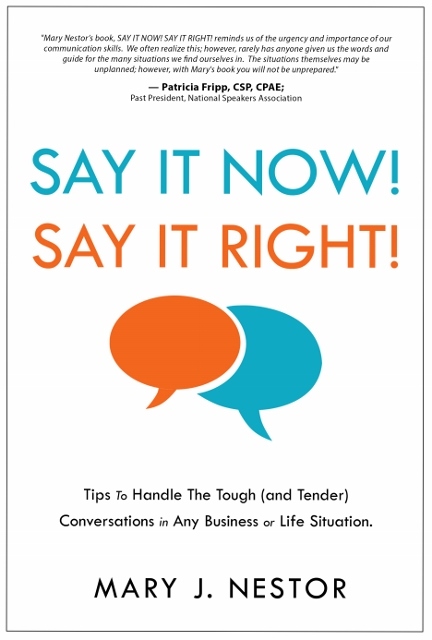 Consulting - Say It Now! Say It Right! Has your company lost its competitive edge due to poor communications, errors or processes that just don’t work? Are you spending more time fixing problems than developing new business, clients and revenue streams? Are your employees more interested in checking Facebook and texting than taking care of your business? Do your meetings fall apart, get off track or just spin around in circles without getting things done? Every business needs a little help now and then. If you’re tired of wasting time and money on consultants that don’t deliver, Mary Nestor can get your company working together with no-nonsense, practical consulting techniques customized to your organization. MJN Consulting has been helping organizations improve the communications, performance and productivity of people and processes since 1992. MJN Consulting is a certified WBE Company with the City of Savannah, GA and Chatham County, GA.
BRIAN HAUPRICHT, PRESIDENT, PARK, INC.
Are you a social media legend but freeze when you have to talk to a real person or group? Does snoring from the audience drown out your PowerPoint presentations? Do you hear more “NO!” than “Yes!” when making sales presentations? Do you have an executive, manager or team member who is destroying morale and productivity with an abrasive, domineering communication style? Or, ignored and discounted due to poor leadership skills? Topics can be delivered 1 to 1, or as a seminar/workshop for groups, teams, meetings, events, and conferences. Disparity Study -- City of Savannah, GA.
Human Resources/Compensation and Compliance Audits; management, training -- Hotels/resorts; Non-Profits (museums, private club). Smart Companies That Have Hired Mary.